Miami Herald:– New Trump administration guidelines that expand the list of reasons for which immigrants can be summoned before an immigration judge to start deportation procedures will take effect Monday, Oct. 1. The rules give immigration officials more leeway to issue Notices to Appear, or NTAs — a document issued to non-citizens instructing them to appear in immigration court. The NTAs traditionally mark the beginning of a deportation process. Starting Monday, USCIS agents will be able to issue an NTA for a wider range of cases involving evidence of fraud, criminal activity or when a foreign citizen is denied an immigration benefit and therefore loses legal status to remain in the United States. 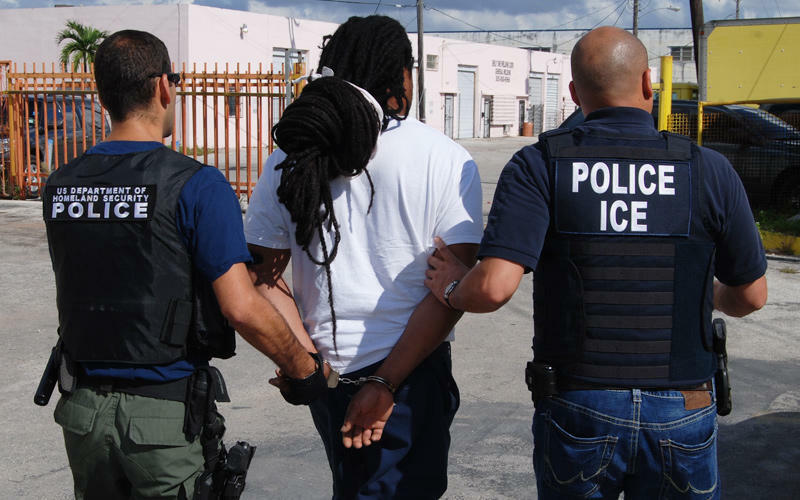 “For too long, USCIS officers uncovering instances of fraudulent or criminal activity have been limited in their ability to help ensure U.S. immigration laws are faithfully executed,” agency Director L. Francis Cissna has said. The immigration agency said the revised guidelines are designed to strengthen the enforcement priorities of the Department of Homeland Security, which last week made public a proposal to keep immigrants from obtaining permanent residence or green cards if they receive certain public benefits. ▪ Cases in which fraud or false representation is substantiated. ▪ Cases in which immigrants have abused some of the public benefits available to them. ▪ Cases in which immigrants have been accused or convicted of a criminal offense, even if criminal conduct was not the basis for the denial. ▪ USCIS will be allowed to refer cases involving serious criminal activity to ICE before adjudication of an immigration benefit request pending before USCIS without issuing an NTA. ▪ Cases in which USCIS denies an Application for Naturalization on good moral character grounds because of a criminal offense. ▪ Cases in which, upon the denial of an application or petition, an applicant is unlawfully present in the United States.